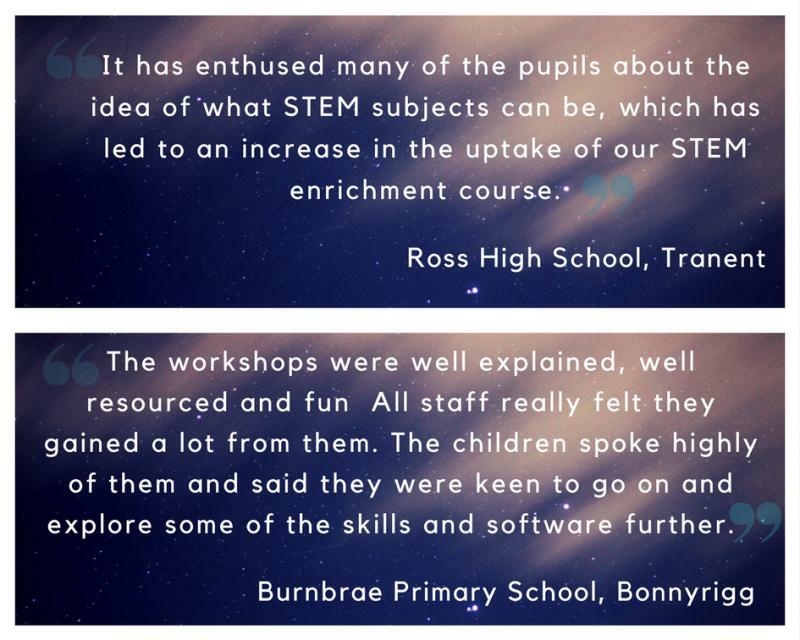 Fun and engaging STEM, computing, technology or robotics classes and workshops from the experts in this field are just the thing to support your school's work to close the attainment gap. 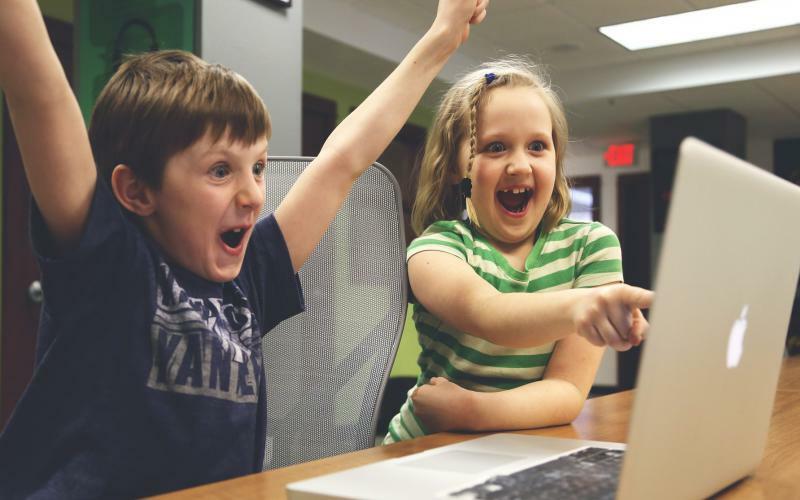 We work with schools across Edinburgh, East Lothian, West Lothian, Midlothian, Falkirk and the Borders delivering computing school workshops to engage and inspire young people. What is Pupil Equity Funding and the Scottish Attainment Challenge? Pupil Equity Funding is additional funding allocated directly to schools. Publicly funded primary, secondary and special schools will receive a monetary allocation for each child in Primary 1 to S3. The funding is to be spent at the discretion of Headteachers. More information can be found on the Scottish Government website. How can we help close the attainment gap in your school? 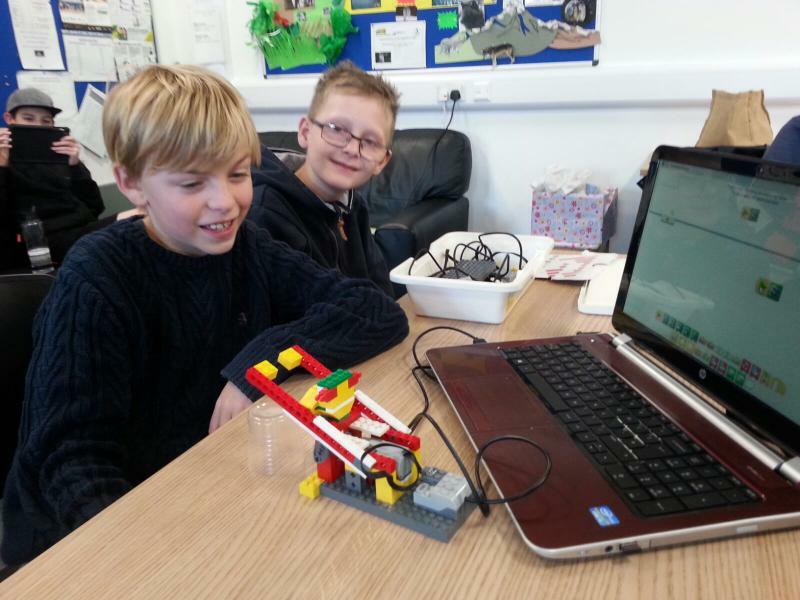 We offer a very wide range of technology and computing courses from coding with Scratch, Python or Kodu to creative animation, app development, Lego robotics, 3D printing, inventor's workshops with Micro:Bit and many more - find out more on our site here. Most importantly it's what will work in your school, inspire your children and in a format to suit you. Supercharge topic-based learning with technology as an engagement tool. FREE CPD session for teachers to support sustainable learning - critical to closing the attainment gap - for every 8 full day workshops booked. Here are a few examples of our work with local schools. A series of coding workshops to support the roll out of the Micro:bit to S1 pupils in East Lothian. The project also included delivery of twilight CPD sessions for teachers and provision of Micro:bits and peripherals to allow pupils and teachers to further extend their learning. Lego Robotics and CAD drawing workshops to pupils at Burnbrae Primary in Bonnyrigg to support the craft, design and engineering element of the Technologies Curriculum for Excellence. ComputerXplorers delivered a wide range of technology based workshops to St Anthony’s RC Primary in Glasgow. 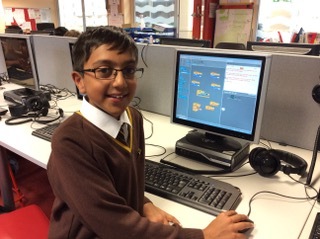 Pupils engaged in workshops ranging from Robotics with programming and coding to Augmented Reality. Ongoing CPD sessions are included to sustain the technology-based learning and lead to greater attainment across a range of subjects. Why is STEM, computing and technology so valuable in closing the attainment gap? It's fun and engaging - especially at a young age - inspire them young! Exposure to, and achieving with, a range of technology creates the appetite for further learning. Encourages computational thinking, problem-solving and team work - key life skills. Fantastic career opportunities opened up with STEM skills. 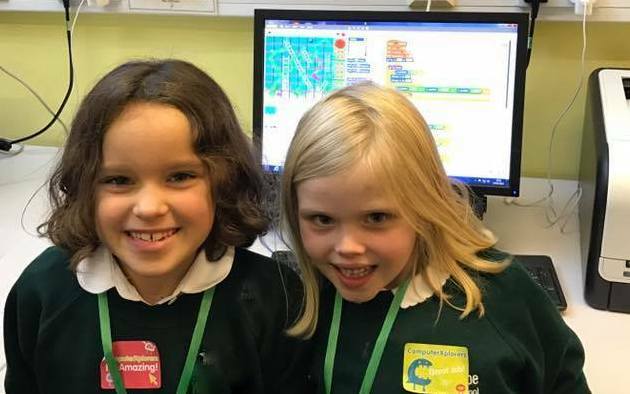 Girls encouraged to continue studying computing subjects when engaged in creative physical computing activities - improves gender inequality. Easy to involve parents fully or partly in computing workshops - improves parent engagement and raises aspirations.